Their laws, Our lives: An evening of films and discussion. 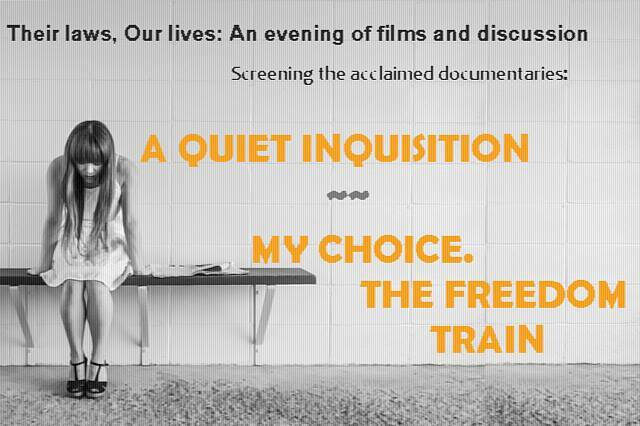 We will be screening the acclaimed documentary A quiet Inquisition, which follows a doctor in Nicaragua, a country where the draconian abortion does not allow abortion in any circumstance. After the screening, we will have the intervention of one of the directors of this documentary. To finish with an exciting note, we will be screening My Choice, the Freedom Train, a documentary that looks at the successful campaign by thousands of activists who stopped the reform that threatened to severely restrict the access to abortion in Spain in 2014. 26th September from 18:00 pm to 21:30 pm, we will be at Goldsmiths University, Stuart Hall Building, New Cross, SE14 6NW. Book your free tickets in Evenbrite.